The software says I picked San Bruno avenue, I did not. I picked the ramp leading from 101 South to 3rd Street. Large series of potholds. 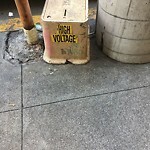 On the South side of Ellis between Powell and Stockton there is a small gray electrical box outside of 71 Ellis. 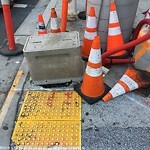 Is it Possible for the removal of this Electrical box. 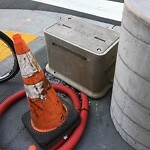 On the South East corner of O'Farrell and Stockton there is a small Gray electrical box. Is it Possible for the removal of this Electrical box. 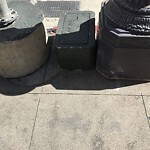 On the North West corner of Geary and Grant there is small gray/green electrical box. Is it Possible for the removal of this Electrical box. 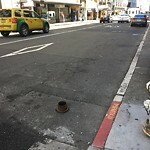 On the South side of Geary between Stockton and Grant there is an Electrical box across the Street from 166 Geary. Is it Possible for the removal of this Electrical box. 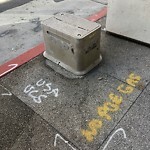 On the South East corner of Geary and Stockton there is an electrical Box. Is it Possible for the excavation of this location. On south lane of Post, east of Mason. 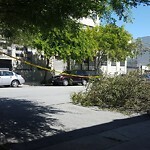 Major pavement danger, steel sticking 5 inches above pavement. 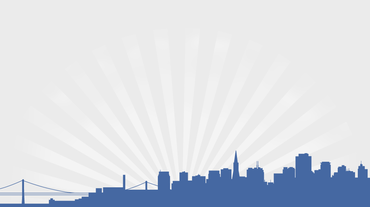 SF311 Mobile provides city government services on your smartphone. 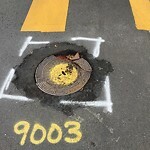 You can report graffiti, street & sidewalk repair, garbage, housing & residential building requests, abandoned vehicles, color curb requests, water / sewer issues, and many more.